We are a family of readers, and my boys love the time we spend every day reading stories together. 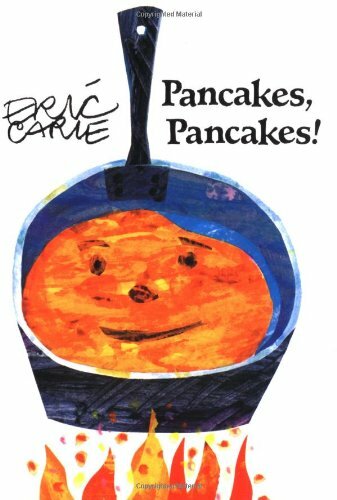 When the boys were very young, I began choosing books about food, wanting to introduce them to a healthy, well-rounded diet as soon as possible. These are some of our family’s favorite books with food themes. The books are geared toward ages 0 to 6 for reading aloud, though some older children could read these on their own. I read these books with all my boys together, and though Monkey Boy (age 2) doesn’t necessarily understand some of the story, he still enjoys looking at the pictures and laughing along with his brothers. If you have children in the 7 to 9 age range, they may still enjoy hearing these stories or may even want to read to their younger siblings. A caterpillar emerges from the egg and goes in search of food. My boys have fun counting all the things the caterpillar eats. 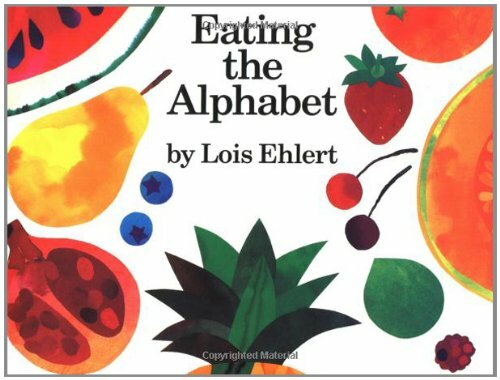 The book takes the reader on an alphabetical journey through fruits and vegetables with colorful abstract illustrations. A Reading Rainbow book. 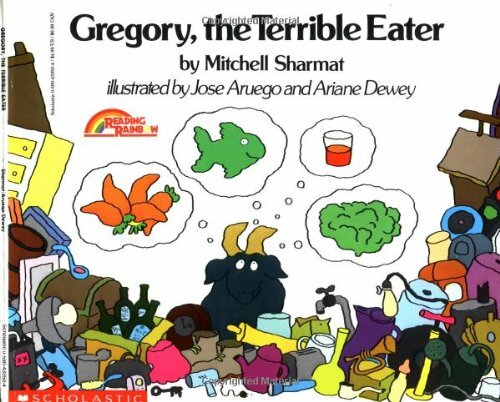 Gregory’s parents try to figure out why their young goat does not want to eat the family’s regular foods. Funny little story, and my boys always laugh at the things the goats like to eat (tin cans, old shoes, pieces of rug, etc). It’s hard to top this classic. The boys enjoy all the food weather, complete with flying hamburgers. A movie based on this book is scheduled for release in 2010. I don’t know how to feel about that, especially since this is a relatively short children’s book. The movie plot will have be expanded quite a lot. An entertaining way to teach where food comes from. Jack’s mother sends her son off on errands to have the flour ground, gathering eggs, milking the cow, churning the butter, and building the fire, all before he can even start cooking the pancake. 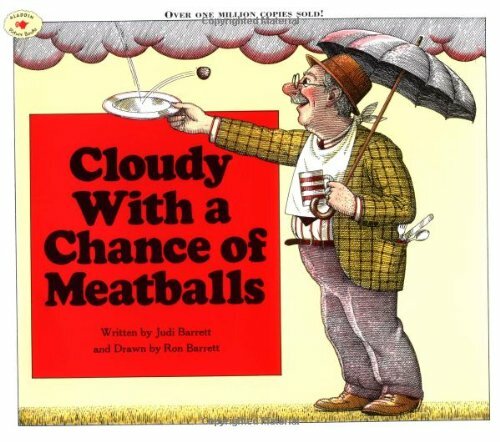 Of all the books about food we have, this one gets the most attention from our boys. 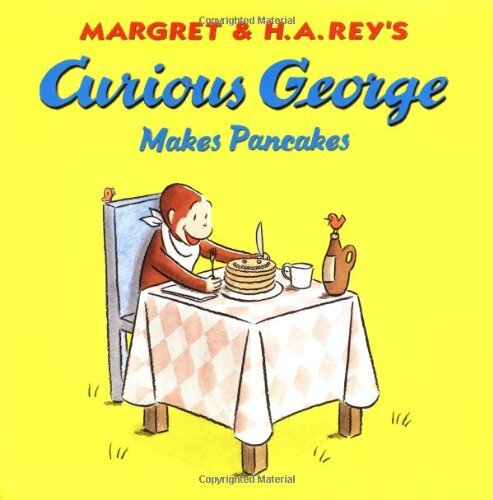 We’ve been reading this book at least once a week for the last three years, and the boys still laugh at the thought of George as a “sticky monkey.” In fact, that has become a catch phrase in our home. 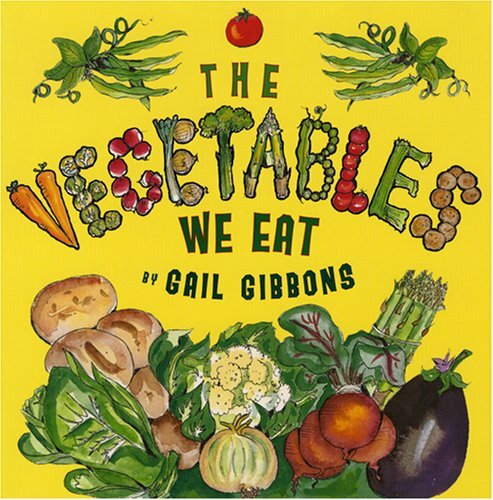 The following books all come from author Gail Gibbons, who has written many nonfiction books for children. These are three of our favorites. With bright watercolor illustrations, the book introduces the reader to eight different types of vegetables: leaf, bulb, flower bud, root, tuber, stem, fruit, and seed. Also has a section on growing your own garden. A Reading Rainbow book. 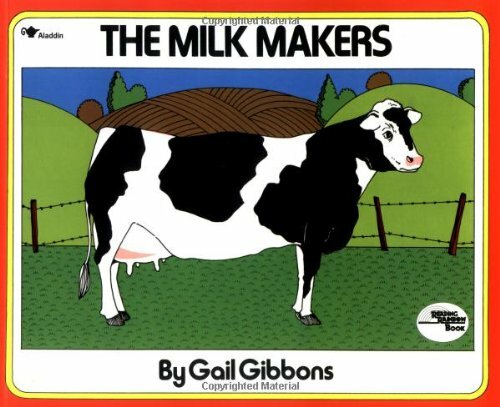 Gibbons introduces children to the world of dairy farms, and includes drawings of milking machines. Another excellent, fact-filled book showing where food comes from. Simple illustrations. Beautiful watercolor, pen, and colored pencil illustrations. 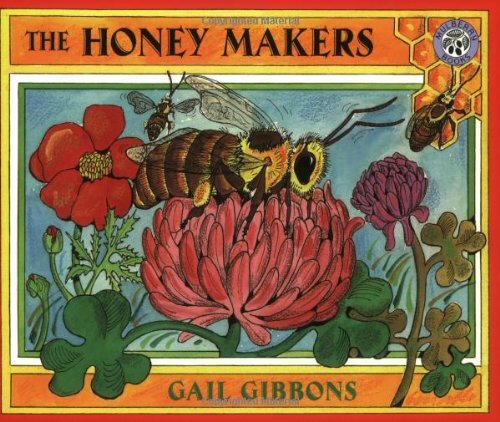 Includes details about the colonies and the social structure, life cycle, how the bees make the comb and honey, and how humans harvest and use honey. Interesting beekeepers yearbook at the end, diary of hive observations and what beekeepers do to care for the colony. Great post! I’m familiar with some of your picks. When my daughter was little, one of our faves was Yoko, by Rosemary Wells. It’s the sweetest little story about Yoko, the Japanese kitten, who goes to school with her lunch of sushi, etc., and is teased by the other kids for having “icky” food. Then, the class has an “International Food Day” and all the kids bring in foods that reflect their heritage. The whole story is about trying foods from different cultures and tolerance towards people who are “different”. You must read it. It’s priceless! Another one I just found recently is How are You Peeling?, by Saxton Freymann and Joost Elffers. The whole book is a collection of photos of fruits and vegetables with very expressive faces carved into them. It has a simple rhyming text and is intended to teach kids about expressing emotions. I bought it for my nephews who have PDD. It is brilliant! Oh I love this Andrea. With one here and I hope for more, grandkids will be getting all of these!! And then I’ll look forward to cooking with them and laughing !!! Laughing and eating. Great list! You probably don’t watch too much TV, but there’s a fun kid’s show called Chowder on Cartoon Network that is food-themed. The main character is the apprentice to Chef Mung Daal and all the other characters are named for foods, including Panini, Kimchi and Endive. I think I enjoy it more than the kids do! 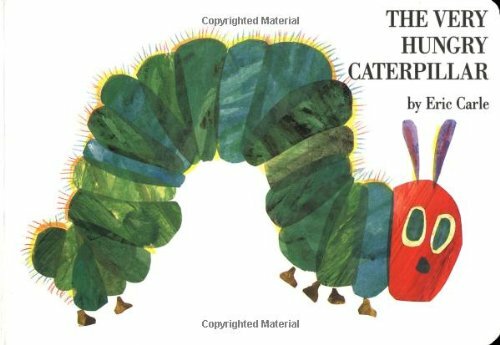 The little caterpillar is a classic! My boys loved that book! (Our copy came with a tiny soft caterpillar on a thread that wound it’s way through holes in the book.) So much fun and it’s one of those books that’s a pleasure to read out loud for parents as well. Another one of our favorite “food” themed books is “Cookies: Bite Size Life Lessons” by Amy Krouse Rosenthal. It has lines like “MODEST means you don’t run around telling everyone you make the best cookies, even if you know it to be true” and “RESPECT means offering the very first cookie to your grandmother.” A GREAT read! !